How much are you willing to pay for a makeup brush that promises to do all? Would you toss all your makeup brushes in favor of one? 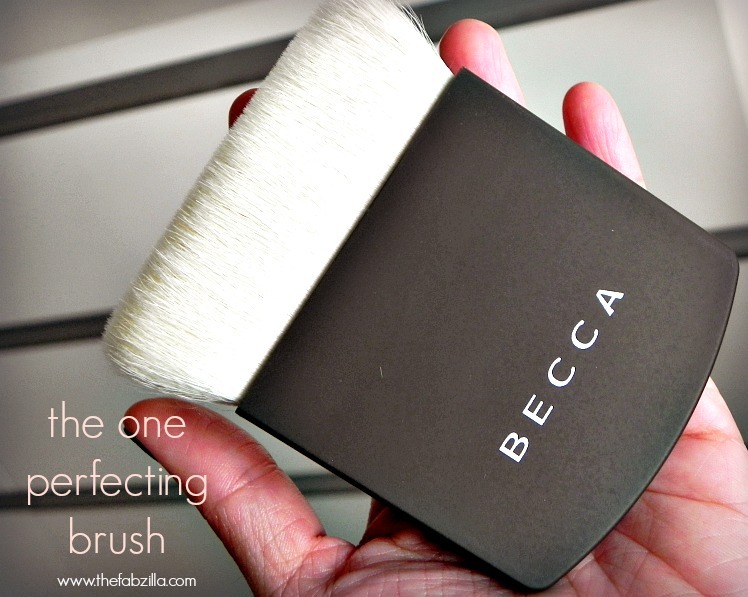 Purported to be a true multi-tasker, BECCA The One Perfecting Brush ($49, Sephora) promises to simplify our makeup routine. It can be used as foundation brush, powder brush, contour brush, bronzer brush, stipple brush, blush brush, fan brush, concealer brush, kabuki, and sponge. I received this brush for review purposes. I won’t deny, I was thrilled to the core while unboxing it! The bristles are dense and ultra-soft. 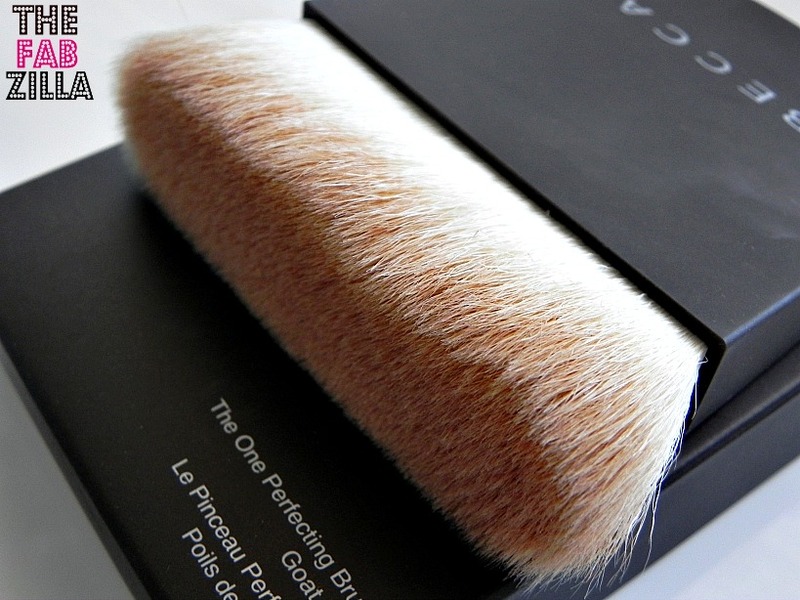 They are non-porous and made from high quality goat hair which allows the product to sit on top of bristles rather than absorbing. The construction is rather unique compared to traditional makeup brushes. It has a flat edge with flexible bristles that conform to every corner and angle of my face. Using the broad side of the brush, sweep foundation horizontally across forehead and then move to cheeks and chin. Finish by sweeping vertically down the nose using the narrow surface of the brush. Using the narrow surface of the brush, sweep illuminator down the tops of cheekbones and down the bridge of nose. Using the narrow surface of the brush, sweep brush under cheekbones, down sides of nose, and around temples. Using the corner of the brush, buff into apples of cheeks using a circular motion and blend out. Sephora produced a video featuring Becca Style Director Kerry Cole, you can watch it here if you want a more in-depth tutorial. Ever the experimental, moi went ahead and used this manna- of- a brush from priming to contouring. As a primer brush, my face primer applied evenly. 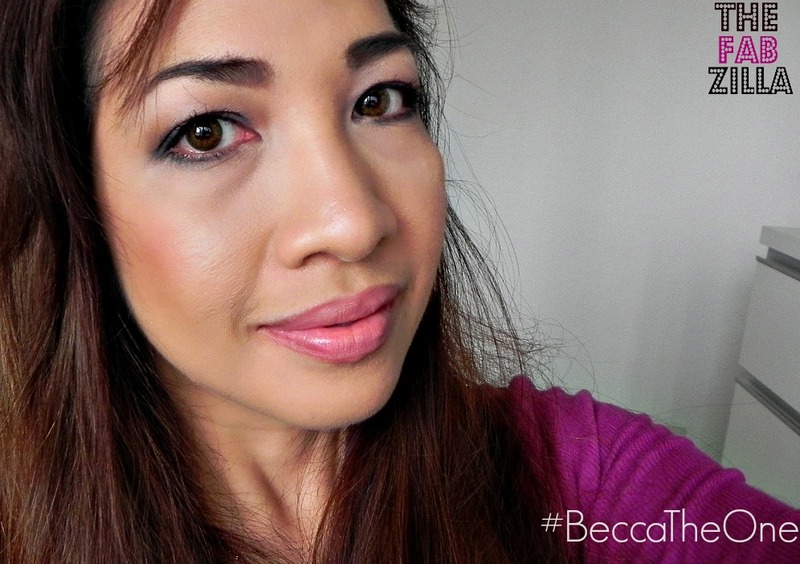 As a foundation brush, my face looked airbrushed. As a contour brush, it created more depth and dimension. As a blush brush, it imparted a beautiful cheek color. The skinny. As with any brand new brush, there was little shedding here and there (mostly filler hairs). The size is also good for travel. I wish that it can stand on its own or has a compact case for storage. While it did an awesome job from priming to highlighting, I’m not ready to say au revoir to my beloved makeup brushes. Not just yet. But I will continue to use it for foundation and bronzer! What’s your go-to makeup brush? ADDENDUM (1/11/14): After 1.5 months of using this brush, I regret to say that the shedding issue has progressed from bad to worst. I hate that the hairs are all over my face each time I buff and blend! Au revoir to this brush. Now I'm dieing to try this brush!! I just used mine today for the first time. I used it with pressed powder and with blush and loved it. Tomorrow I'll try a loose powder. It's incredibly soft. Hi Marcia, yeah it's so soft, my face can't get enough of it. I love it except with liquids. lovin' the concept of this brush! This sounds intriguing, but I am worried the size might be too big for me. it's not too big Leticia. I think you'll like it. Hi Kim, the shedding stopped after few uses. I hope it's the same for you, otherwise it's a bummer. This sounds interesting but you'd have to really clean it off between each product if you didn't want, for example, your highlighter mixing with your bronzer! I wipe with paper towel or tissue to remove excess product. I don't have that NARS brush but it's good to know! This brush is so handy I would definitely get it! It definitely is Farryn. It's travel-friendly too. This one I like to use for highlighting and contouring the cheeks. It's a cool brush! Hi Brooke, yeah it's one of the coolest brush to hit the market recently. This brush sure sounds great! Btw You look lovely in that pic! Many thanks Harshleen. I think you will like it too. Sounds pretty good…I am intrigued! Btw you look lovely in that pic! Thanks much Jessica. I will buy another one in case it sells out. I like it a lot for contouring! That is a beautiful brush. My go to is MAC's 217.